When we chose a four-day stopover in Dalat as part of our three-week journey through Vietnam, we did it based on a single reason: the promise of cool, mountain weather. We didn’t care about the sights or tours or food, we just wanted to escape the heat. 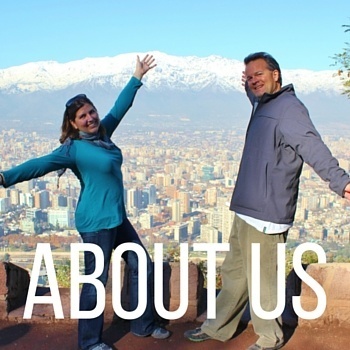 We endured a typical mountain rainstorm on the way from the airport to the town and by the time we arrived at our hotel, the temperatures had dropped to the point we were actually chilly. I have never been happier slipping on a jacket. 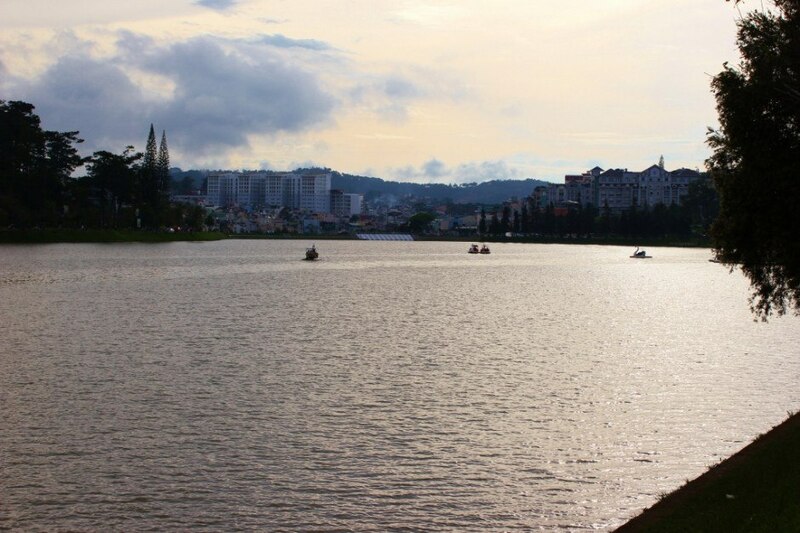 With the cooler weather, we were looking forward to sightseeing in Dalat, Vietnam. 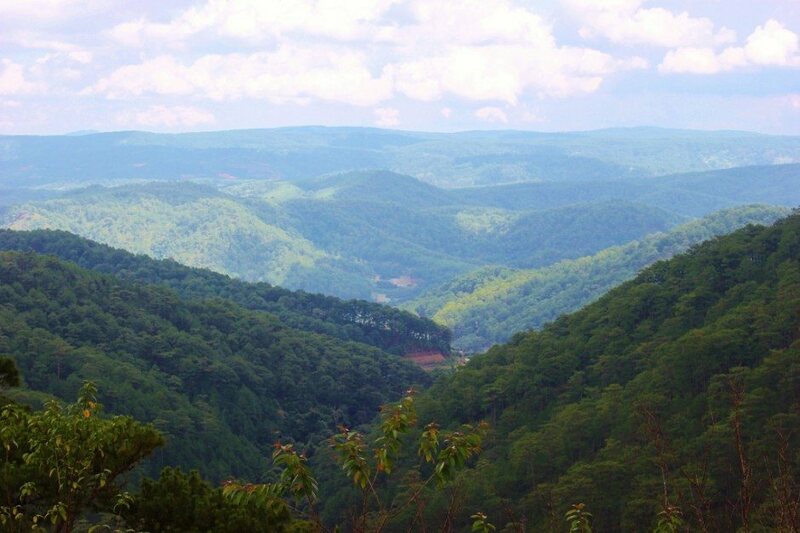 The good news is this little mountain retreat has plenty to do and see, even if some of it is a bit out of town. Our all-day tour of the Central Highlands left us with just two full days to explore and we filled them by hitting the suggested spots. 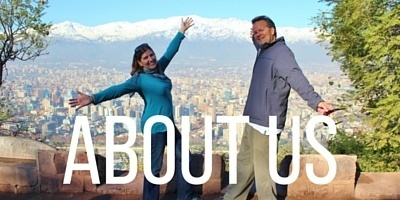 For us, riding the cable car (only $3.50 roundtrip) was the main draw, soaring over pine trees and enjoying the stunning views of the city and surrounding mountains. When we arrived at the Truc Lam Pagoda, we were equally impressed. Just across the street from the cable car entrance multiple buildings, manicured gardens and outdoor meditation areas grace the hilltop. Despite the many sightseers that were visiting, the expansive grounds were quiet and the mountain setting added a touch of serenity that some of the other pagodas we’ve visited have lacked. 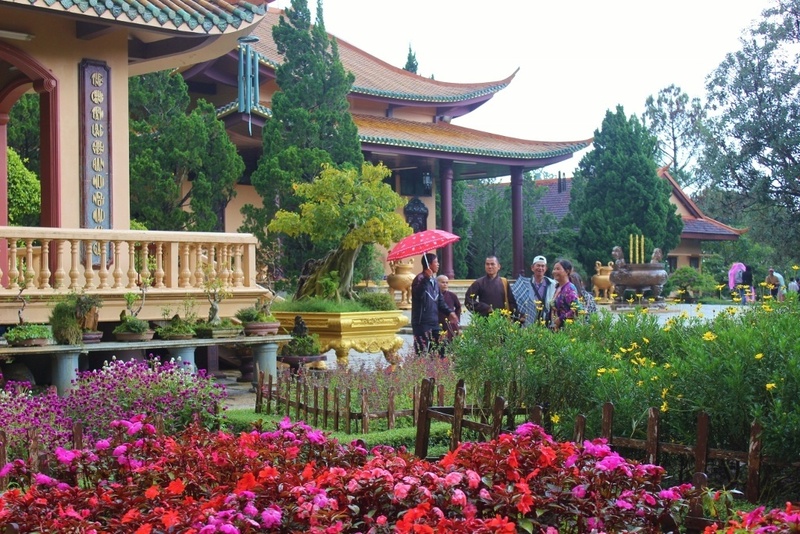 As we were walking through the gardens, the skies exploded in a torrential downpour sending visitors back to their cars and us running for cover. For 15 minutes we watched as monks ran from one building to the next as they continued on with their day and the puddles around our feet turned into tiny streams. Unlike most rainstorms that can put a damper on outdoor activities, this one was refreshing and surreal. Once the rain subsided, we had the place to ourselves for a short while before new, dry tourists showed up. 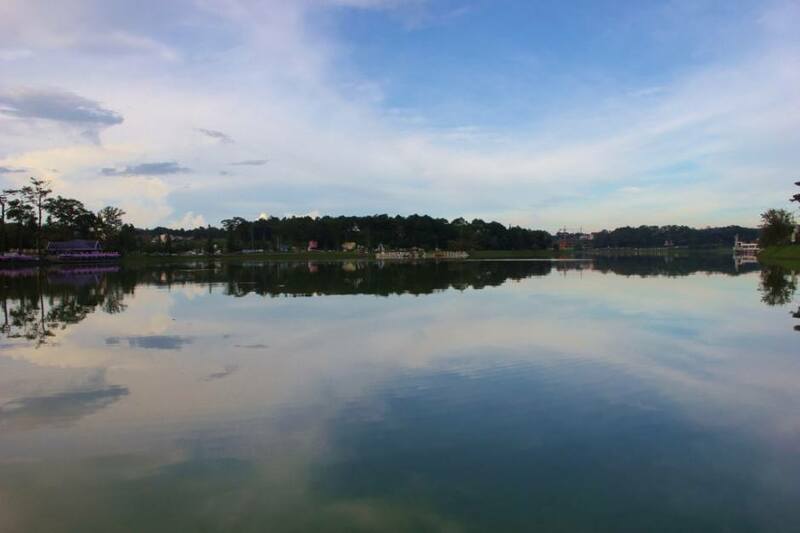 The long kidney bean-shaped Xuan Huong Lake (7km in diameter) is just to the east of the town’s center and a peaceful refuge from the busy city. We spent time walking along the path and watching sunsets reflect on the water. We I thought about renting a swan paddle boat to get a view from the middle of the lake, but Kris put the kibosh on that one. 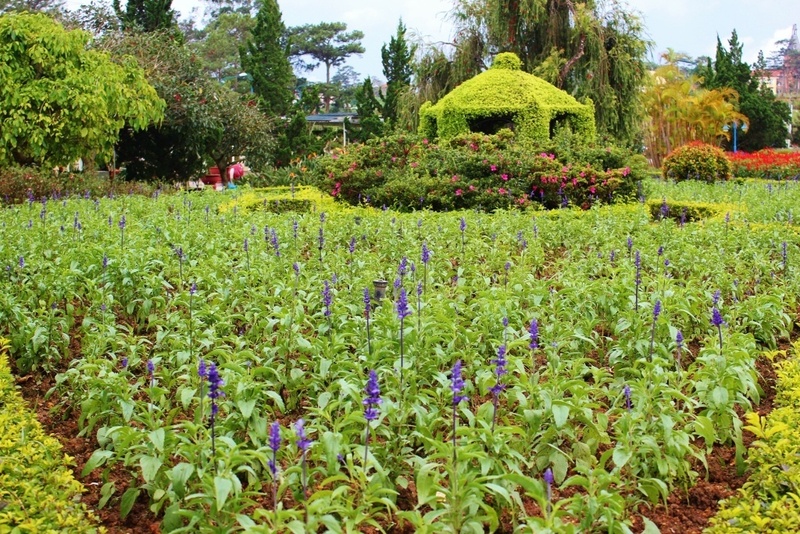 The Dalat Flower Gardens sit at the end of the lake opposite the city and has an entrance fee of just $1 USD. 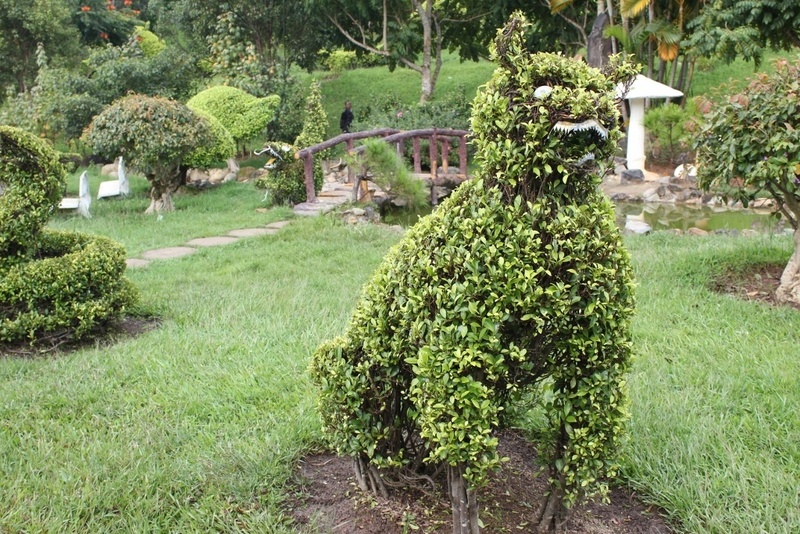 Quite spread-out, yet slightly neglected (perhaps it is the season), there is plenty to see: colorful flower beds, Bonsai trees, shrubs sculpted into animal shapes, fountains and a small lake where a few locals were fishing. Probably prettier on a sunny, dry day, but still a nice enough place to walk around for an hour or so. 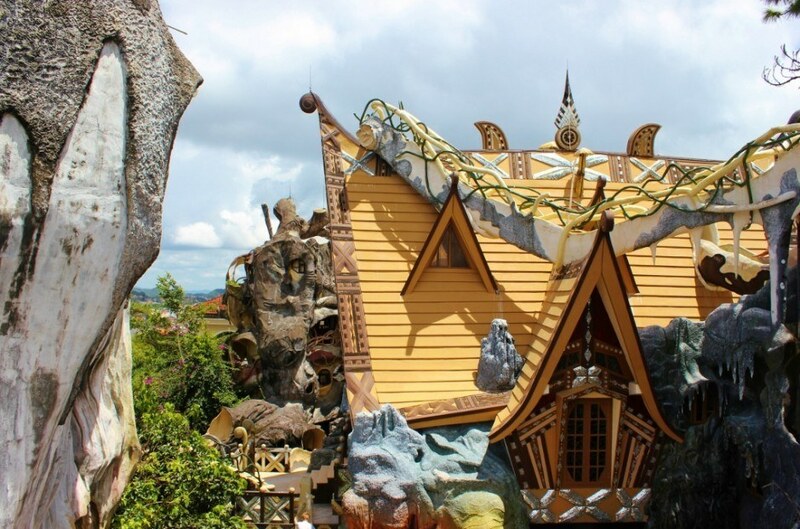 There are no two ways about it: the Hang Nga Crazy House is called Crazy House for a reason. This wild – yet unfinished – house/hotel is like Alice in Wonderland meets Salvador Dali in Candy Land. Buildings are made to look like tree trunks and the rooms inside are each themed – Kangaroo, Tiger, Ant and Gourd, to name a few – and are available at decent nightly rates (although, it’s open to the public from 7am-7pm, so we couldn’t imagine staying here!). We were free to get lost in the maze of stairs that interconnected the entire massive theme-park like structure. Rumor has it that the art-deco Cremaillere Train Station is a sight worth seeing, but we were more interested in taking one of the five daily trains a short distance to a neighboring town…just for the train ride. Unfortunately, when we arrived, we were told that the mid-day train wouldn’t be running as there weren’t enough people, so we would have to wait until the afternoon, which didn’t fit into our plans. The station itself was a bit run down, so we just stayed a few minutes before heading back into town. 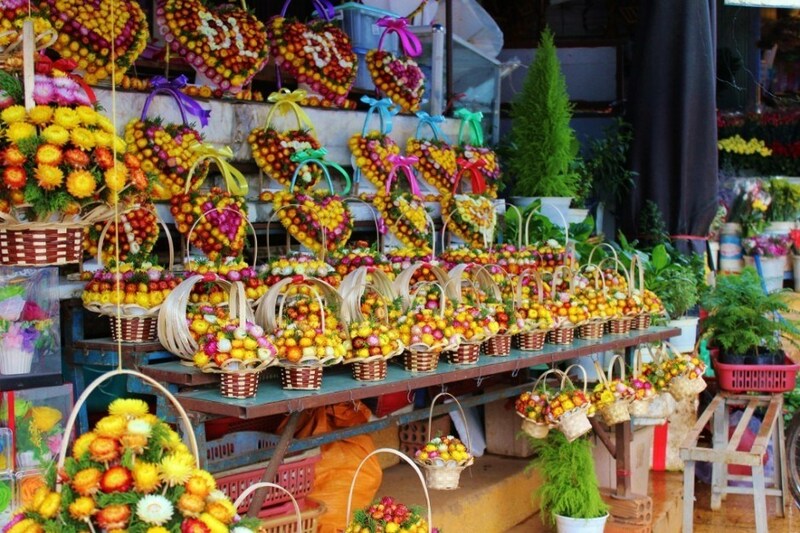 The daytime markets were a nice change from other markets we’d seen in Vietnam, prominently displaying local flowers, jams and strawberries, but we were much more impressed with the Sunday night market…or rather, the setting up of the Sunday night market. 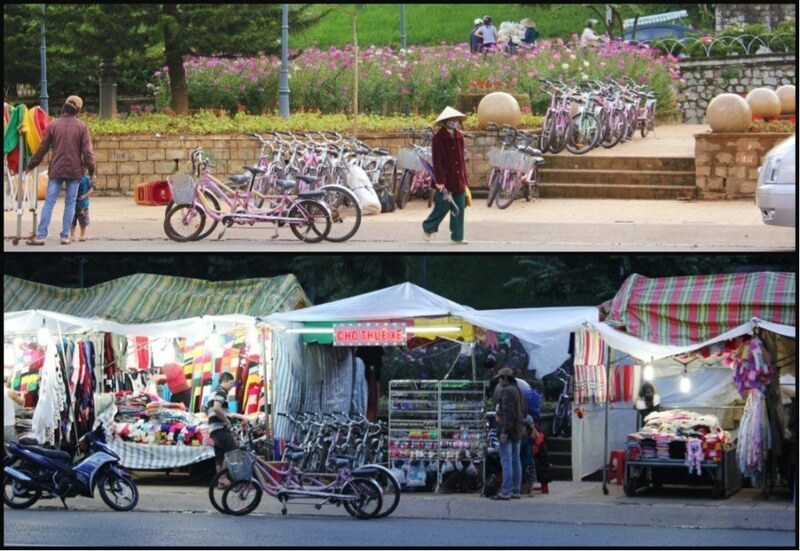 Entire restaurants – kitchens, tables, tents – pop up along the main street in the late afternoon. Bins and canopies on wheels were pushed across the busy street and once the contents were unpacked it became a fully stocked store. 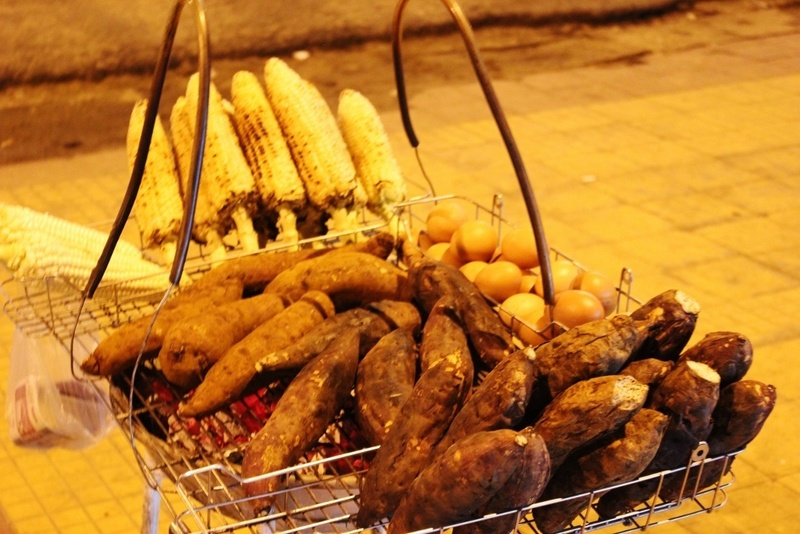 Every inch of sidewalk space was eaten up by merchandise by the time it was dark and small food stands piled with fresh, grilled corn on the cob, sweet potatoes and eggs spilled into the street and up the steep staircase. We spent time wandering around, more for the scene than the products. Dalat was not exactly the quaint, isolated mountain town we thought it would be. It’s actually a bustling city filled with honking scooters and tourists, who can quickly find pockets of tranquility and nature just on the outskirts of town. For us, the best feature was exactly what we went there to find: cooler temperatures. But, what we got was so much more. Vietnam continues to amaze us with its wonderful sights, natural beauty, delicious food and friendly people. 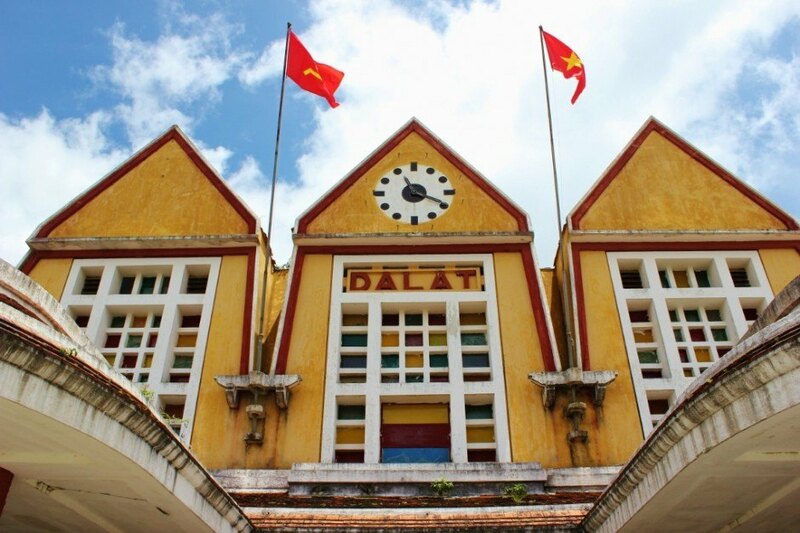 We want to know: What would you add to our list of 6 things to see while sightseeing in Dalat, Vietnam? 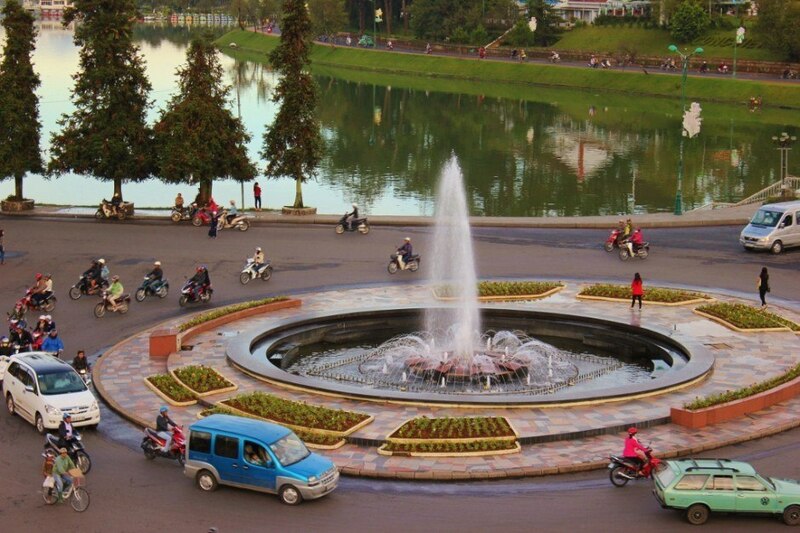 Reading this article I think you are a person in Da Lat recommended to me, not the opposite. 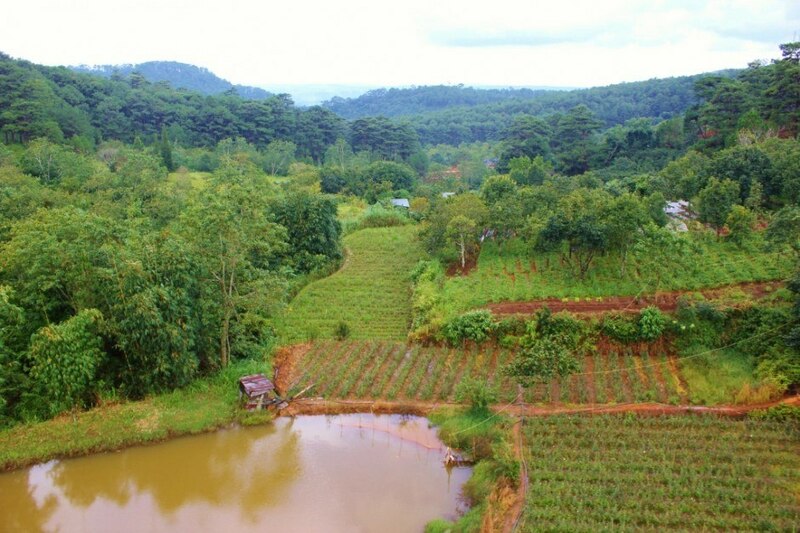 I am a Dalat who can not write the details and like you. 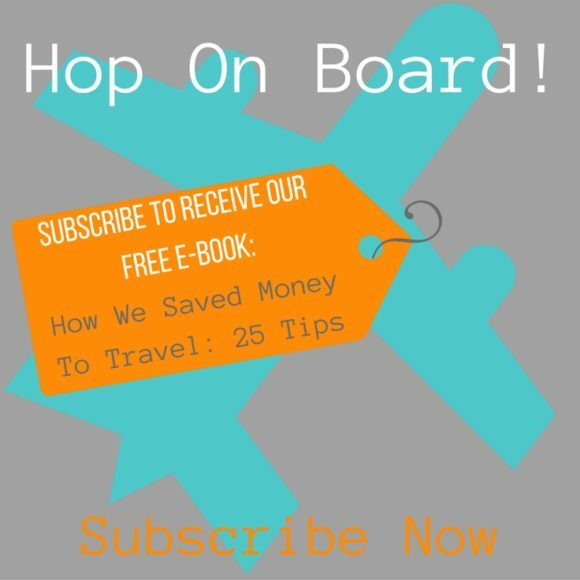 Thank you, I learned a lot from your blog. Thank you. We loved our stay in Dalat! Such a wonderful city! 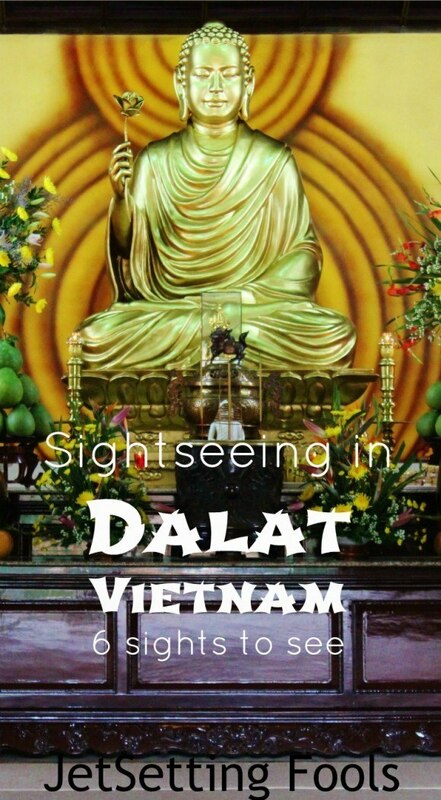 I spend one month in Vietnam last year and sadly skipped Dalat. I still regret it, there is so much to see and do in the area. 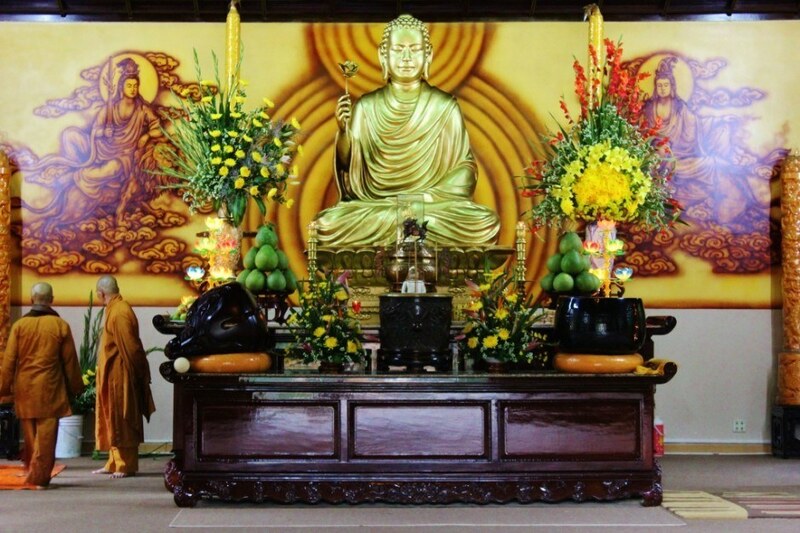 Hi Stephanie – It’s so difficult to choose which cities to visit in Vietnam – each have their own character! We truly enjoyed Dalat and getting to see another part of the country – hope you make it back someday 😉 Cheers!